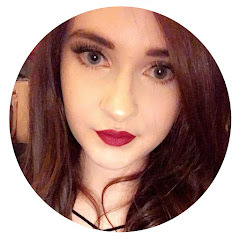 I really like Rimmel Foundations; recently, i felt like a lot of my other 'daytime' foundations just were sitting right on my skin, i don't know whether it was because of my skin or whether I'd just had them a little too long so i got rid of most of them and went on the hunt for some new foundations for day to day wear and naturally, i went straight to Rimmel. I repurchased my trusty Rimmel Wake Me Up Foundation and also picked up the Rimmel Lasting Finish Breathable Foundation. 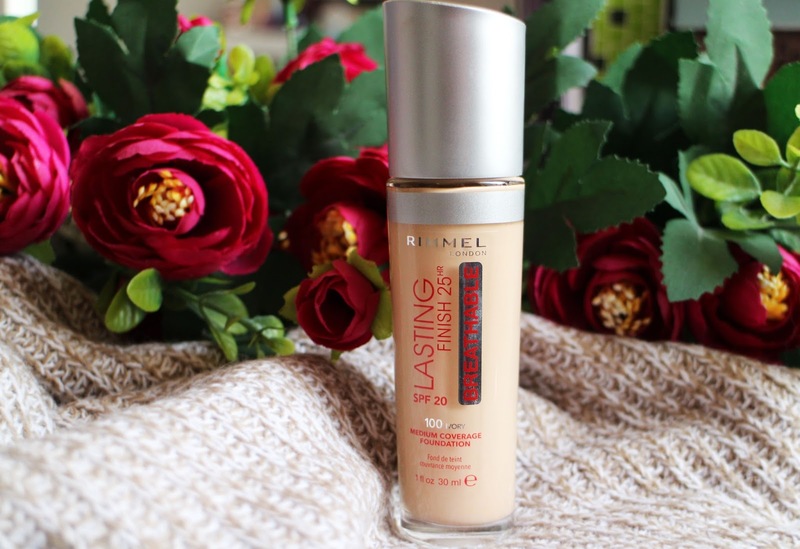 I've tried the Rimmel Lasting Finish Foundation before and whilst i liked it a lot, i felt it was just a little bit too heavy for me. So when i saw they had released 'Lasting Finish Breathable' a lighter version, i was excited to give it a try. This foundation has the exact same bottle as their Match Perfection and original Lasting Finish foundations except this has a different applicator. Instead of the typical pump, this has a giant doufat applicator which i was a bit unsure of at first but the more i use it, the more i like it. I use it to dot the foundation all over my face and then blend it out with a beauty sponge and i find this not only saves me from having a foundation stain on the back off my hand but i don't waste any product either. I have the shade Ivory 100 which matches my skin tone pretty well but i feel like it oxidises a little bit because if i don't blend it down my neckline enough i can see a difference but i think the lightest shade Light Porcelain would be too light for me. It's not too noticeable and as long as don't forget my neckline, i can get away with it. It's a light coverage foundation but you can build it up to a medium coverage if needed, i personally like to keep it pretty light for everyday wear and just use concealer to cover any blemishes and under my eyes - i am actually using the matching concealer to this foundation which is pretty good too. It has a satin finish - it doesn't leave your skin entirely matte but it's not overly glowy either, I'd say it's somewhere in between but i do choose to powder my foundation anyways. I can't vouch for the 25hr lasting power because who even wears foundation for that long but for general day to day, it seems to last pretty well on me without much need for touch ups which is good enough for me. 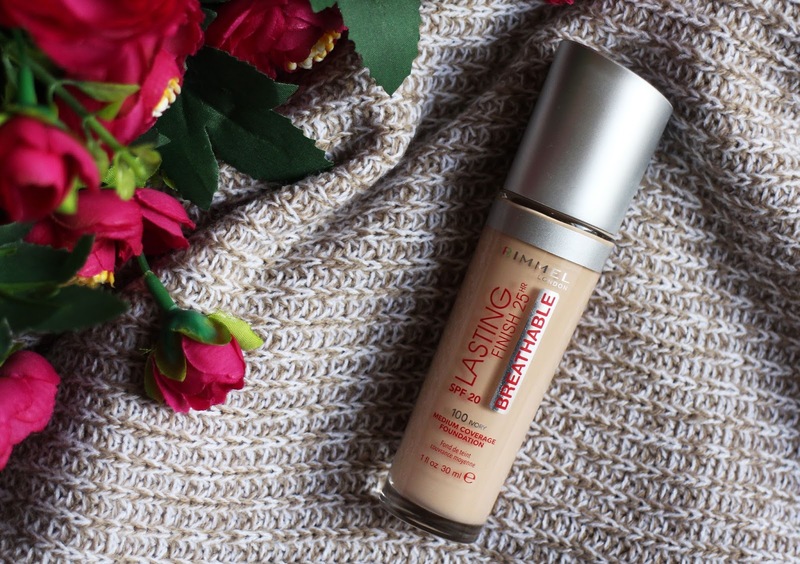 I wear this foundation pretty much everyday (when I'm wearing make up) - it's the perfect lightweight formula and i really like it - I'd highly recommend checking out Rimmel foundations if you want a good quality, affordable foundation, they are some of my favourites! 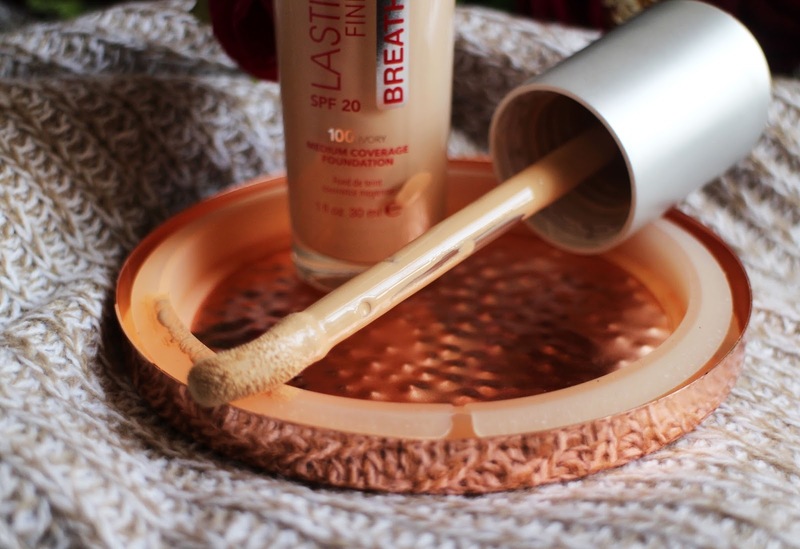 Have you tried the Rimmel Lasting Finish Breathable Foundation?